SprookjesBeelden aan Zee is an enchanting outdoor sculpture garden on the Scheveningen boulevard. The humorous and at times slightly bizarre bronze figures are inspired by our favourite fairytales and sea stories. The bronze artworks by sculptor Tom Otterness are freely accessible twenty-four hours per day. Try to find all the hidden figures, tiny as they are you will wonder how many there are! 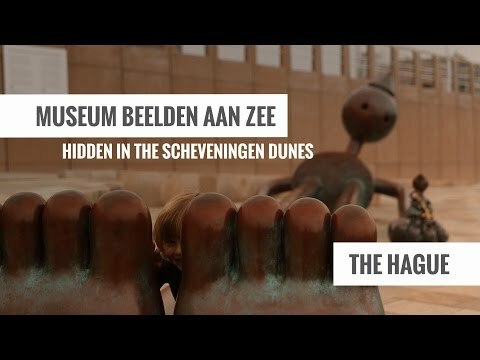 The founders of Beelden aan Zee Museum, Theo and Lida Scholten, asked American sculptor Tom Otterness in 2004 to design a terrace with bronze sculptures which people could visit any time of the day and night, free of charge: Fairytale Sculptures by the Sea. Otterness, who designed similar public installations for New York, immersed himself in fairytales and legends about the sea and modelled sculptural groups of which the largest, the Herring Eater, is more than 12 metres high.